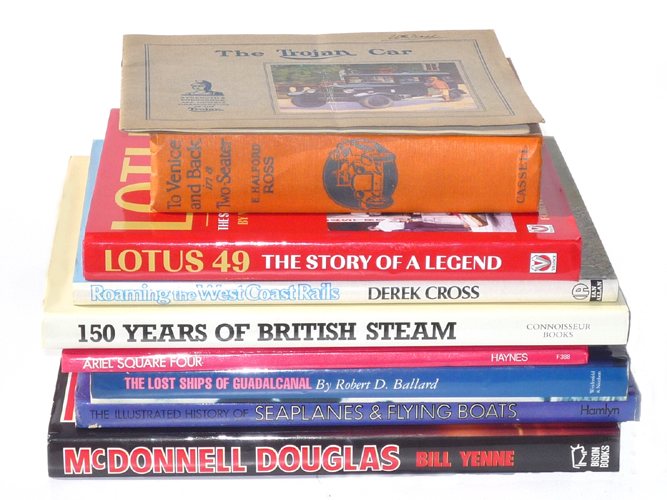 The complete story of the Fine Motor Cars produced by a highly respected British Manufacturer, who's Cars are as keenly sought today as ever they were in their heyday by those enthusiasts in a position to aquire one. This is a Marque, which once you are caught by it, as an ' Alvis' Man (or Woman), you never relinquish, until your Lid is screwed down! 375 pages with many photos and specifications, The Sporting Acheivements of which there were many are covered in full, as is the Company History, in fact no aspect of any interest has been ommitted in this fine work. The book is in very good condition but has no jacket.